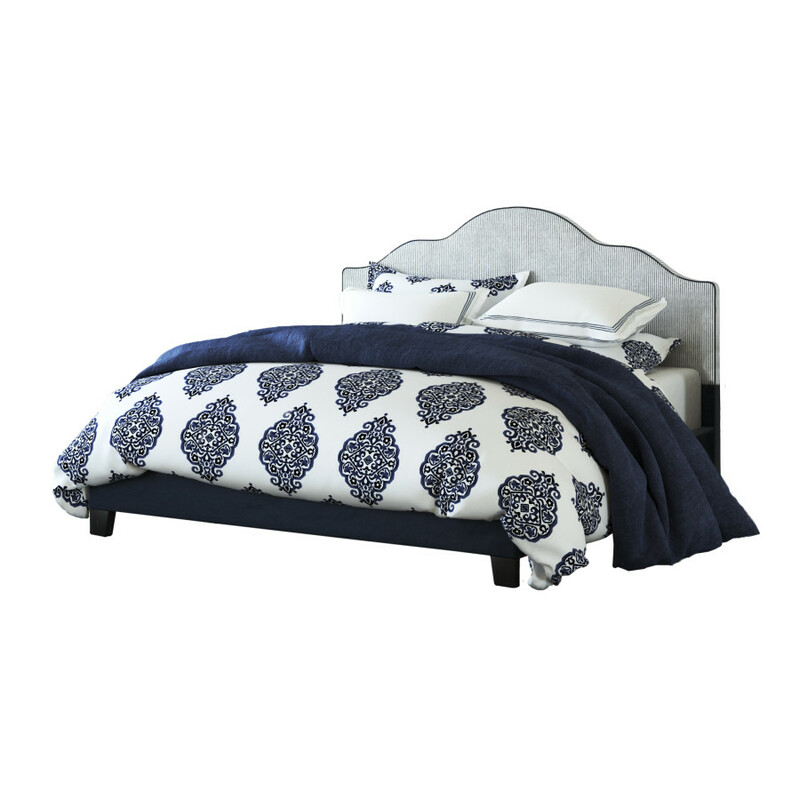 Beautiful details are plentiful in the charming Anchor Bay bed. A crown-cap silhouette is enhanced with button tufting and linen-like fabric. Pinstriped upholstery and dark brown wooden legs make this piece both current and timeless. Whether you’re by the sea, or just dreaming of being there, the Anchor Bay bed is sure to be the centerpiece of your elegant bedroom.